2015 J2(J-league division2)-League 41st match was held on stadium across the country. Consadole Sapporo ventured into Mito Hollyhock’s stadium “K’s Dinki Stadium”. Consadole lost to Mito Hollyhock 1 to 2, and missed playoffs (3rd-position to 6th position teams can take part in the post-seasons games for promotion to J1). 2015 season has ended. Previous PostThe 2015 season starts ! 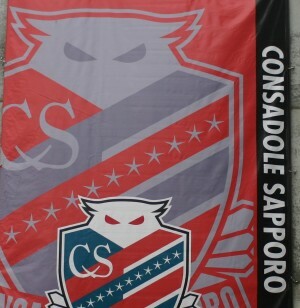 !Next Post2015 season’s standing of Consadole Sapporo is 10th.